I'm a face mask obsessive. Like I'm actually not joking when I say I use one almost every day. They're my fave because you generally see immediate results and I'm a super impatient person. I like that you can choose a specific mask to correct a specific problem and let's be real they're just damn fun. I wouldn't say I stick to a specific masking routine, but I thought it'd be fun to choose a mask to wear everyday this week and see the results! 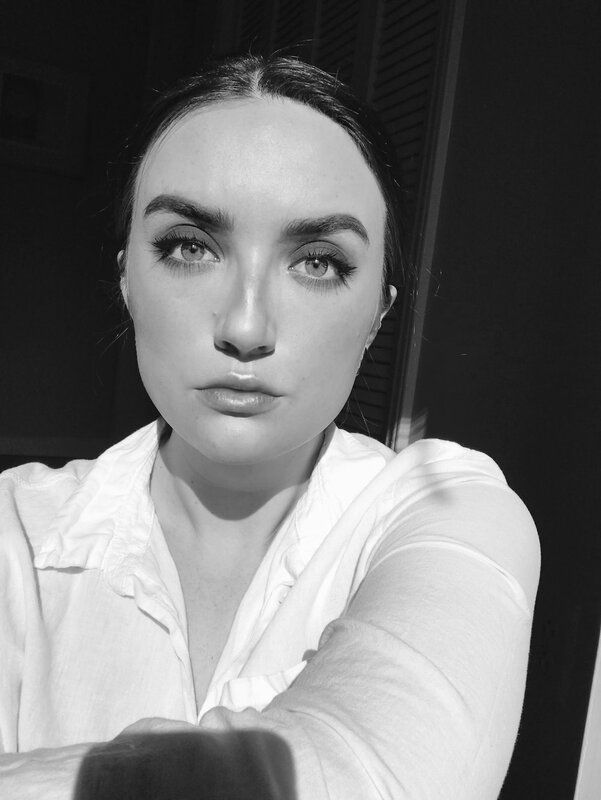 On Monday I have a full day of class and then work, so I wear my makeup for a very long time. I personally find this horrifying and I'm usually dying to take my makeup off. I try to use a clay-based detoxifying mask when I get home to get all the crap out of my pores. My absolute favourite detoxifying mask is the Clinique Pore Refining Solutions Charcoal Mask. This is a super creamy and rich clay mask that doesn't feel dry at all (drying masks are my nemesis). 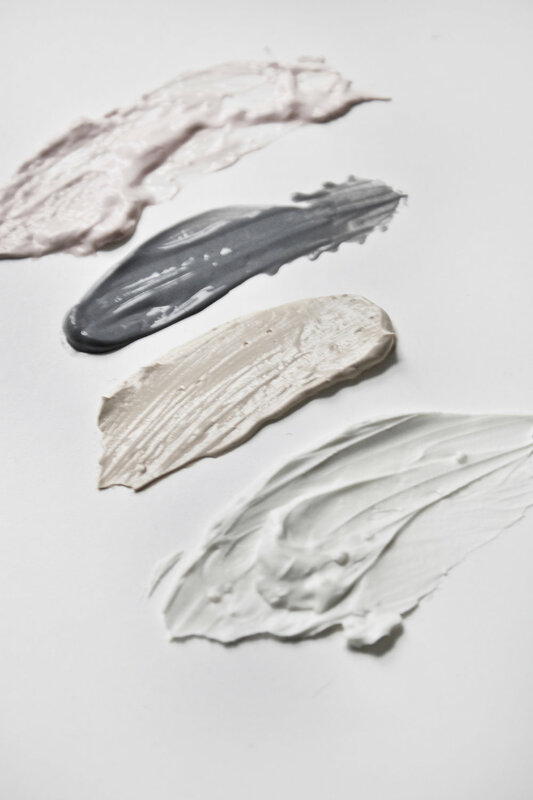 Kaolin Clay soaks up excess oil and Charcoal (obvs) vacuums every thaaaaang out of your poor clogged up lil pores. You're welcome. On Tuesday I gotta glowwww. Well I mean every day honestly, but I especially like to use a super glowy mask after using a clay mask. I've been loving Kypris' Glow Philtre lately, can we talk about that packaging OKAY. Also 'glow' and 'filter' is the most appropriate name for this product because holyyyyy you will look perfect. Pomegranate Enzymes exfoliate the skin and then Magic Silver Mushrooms (hell yah) hydrate to the heavens. Now this is a liiiiiiil-alot pricy, so for a most cost-effective offering, I adore the Complex Beauty The Godmother (which I need to repurchase asap). This one is a pumpkin enzyme mask that also exfoliates and gives you a faux-JLo glow. I also feel like this brings a lot of colour to my face. Love. On Wednesday's we wear pink aka the Origins Original Skin Retexturizing Mask. If you don't follow Kelly Mittendorf on Insta you should (seriously), but she adores this mask and so do I. It's a Rose clay based mask that helps smooth skin texture and 'refines' pores. I hate the term refines to be honest with you, but this does help reduce the appearance of pores by some magic. It also contains Willow Herb, which is both antioxidant and antimicrobial! Magic! It also has Jojoba Beads to slightly exfoliate. Which are environmentally friendly!!! Screw microbeads!! So! Many! Exclamation! Points! In! A! Row! Okay I totally didn't plan this but thirsty Thursday omgggg. I don't drink at all so it's even more ironic right? Anyway, usually at this point in the week I'm tired af and my skin is parched af. So I always reach for my beloved Glossier Moisturizing Moon Mask (which is almost empty wah). This baby is full of Hyaluronic Acid, Sweet Almond Oil, and Plant-Based Squalene to provide suuuuper hydration. It's so great because you can use it as a rinse-off mask so if I fall asleep with it on all is okay! This has happened several times already this semester please help me. I don't have class on Fridays and I generally don't work until the afternoon, so I like to juice cleanse my face. AKA sit around for several hours with the Glossier Mega Greens Galaxy Pack. I actually use this several times a week because it's my all-time favourite mask, but we'll say it's reserved for today. This contains Parsley, Spinach, and Cress Sprout Extract to clean and protect skin, as well as White Kaolin Clay to help 'mattify' the skin. I say mattify in quotes because this stuff actually makes your skin look smooth and squeaky clean, not really matte. It also has Avacado and Aloe to soothe and hydrate the skin which makes it the most non-drying clay-based mask in the entire world. Love x 1000000. Okay I really didn't think I liked clay-based masks that much but I obviously do. Saturday is for the Georgette Klinger Vitamin C Mask, the main ingredient (obviously vit c) protects skin, prevents free radical damage, and helps to boost collagen production! This one also contains Avacado Oil as well as Argan Oil to help keep the skin hydrated, and Algae Extract to soften skin. On Sunday I usually use 2-3 masks to be honest with you, but if I could only pick one to do at the end of the week it'd be the Pixi Peel & Polish. This is another magical resurfacing mask that somehow manages to make you look like a newborn. It's definitely a bit more intense in terms of masking, but the results I've seen from it are so worth it. It's full of Fruit Enzymes (papaya, orange, lemon, +) and Lactic Acid to slough off dead skin cells and exfoliate (cuuuute) plus sugar to polish the skin. You know how when your skin is looking incredible it's totally dry but looks shiny?? That's what this mask does. And that's a week of face masks done!! It's Sunday today and I gotta say that my skin looks pretty damn incredible. It feels incredibly hydrated and looks smooth and bright. Dullness is a major problem for me, so to have my skin feel and look great is a super plus. What are your fave masks? And how often do you wear them? !